Me, My Socks and Pie: Ariel Bias Scarf - Only 2 1/2 years in the making! Ariel Bias Scarf - Only 2 1/2 years in the making! So rather a long time ago (September 2012!!! ), I was brought back 2 lovely skeins of Americo Original Cotton Alpaca 4ply yarn from Toronto, Canada. 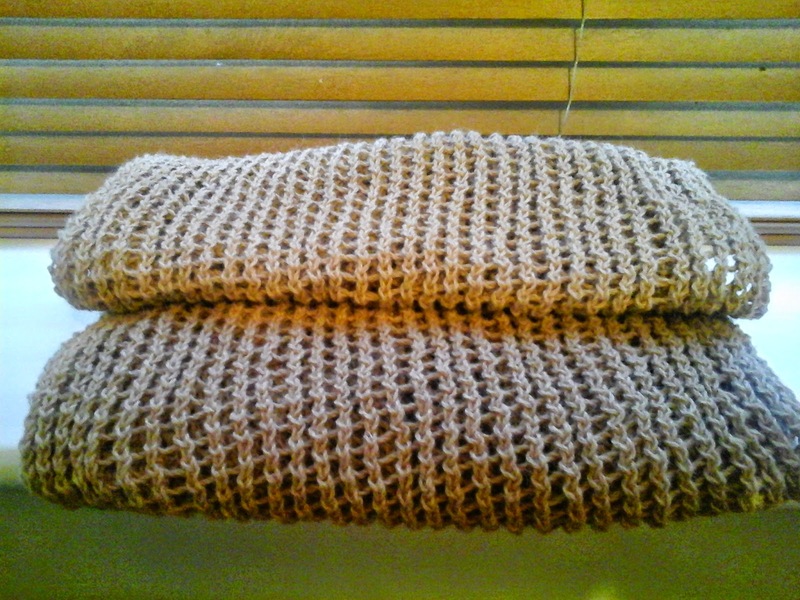 With it came a pattern for the Ariel Bias Scarf. A really simple pattern using 5mm needles. I duly cast on my 67 stitches and did 2 purl rows. You then start the 2 row stitch pattern of Knit 3 stitches, then repeat YO (Yarn over), K2tog (Knit two together) to the last 2 stitches, Knit 2. Turn the work, Knit 2 stitches, Purl to the last 2 stitches, Knit 2. And so forth. Except I only got a few rows in and then the scarf got cast aside for a new pair of socks....... and then another! But 2015 is all about finishing my WIP's (works in progress) that I wished I finished ages ago and using up some of my yarn stash (then I don't feel guilty about buying more). Its a super easy pattern to memorise and knit in front of the telly (or in a recent traffic jam - at least I wasn't a grumpy driver! I wasn't going anywhere, so might as well be time effective). I kept at the pattern until I was nearly out of yarn - 200g later and over 2m in length, I finished with the 2 rows of Knit stitch and cast off. My Ariel Bias Scarf at last. 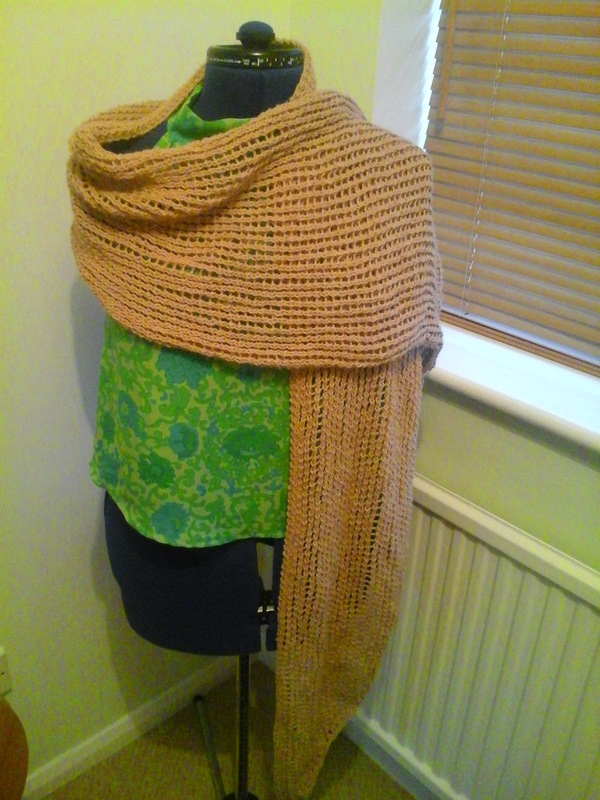 Its an un-dyed alpaca /cotton yarn from Peru and I just love the colour. I think it rather suits me! 3 languishing WIP's finished so far this year and its only April tomorrow! That is beautiful! Well done for crossing off a lingering WIP. Thanks Leah. 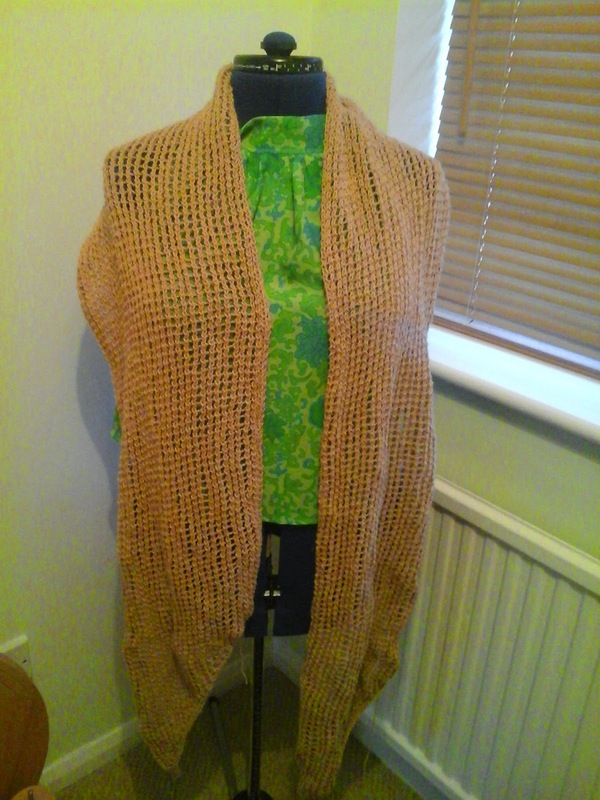 Its even better now its blocked :-) I'm cracking on with a Sock Scrap Blanket that's been hibernating since 2010! I am on a WIP roll.